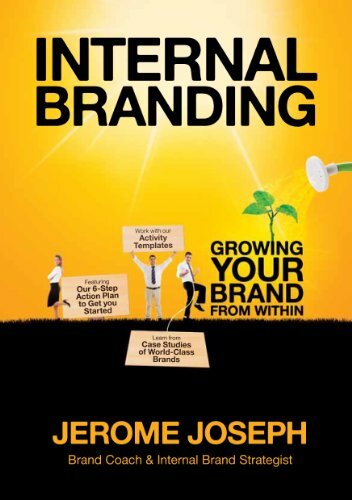 Jerome Joseph, CSP, CSPGlobal, PMC, is a brand experience strategist, brand coach and best-selling author of more than 5 books on branding. He is also the CEO of NASDAQ listed brand agency with TMG. With more than twenty years of branding experience under his belt, Jerome is a master in innovative brand differentiation and creating extraordinary branded experiences. Jerome runs programs and keynotes ranging from Internal Branding , Brand Mastery, Branded Customer Experience, Personal Branding and Asian Brand Strategy. Jerome has impacted more than 1000 brands in over 33 countries. His cutting-edge thinking, solid case studies and systematic approach to brand building has enthralled audiences all around the world, making each of his programs a truly memorable one. His love for story-telling and talent for distilling experiences into succinct, bite-sized lessons has garnered rave reviews from clients. Jerome is also an accredited Professional Management Consultant (PMC), a designation for top tier management consultants as well as a Certified Speaking Professional (CSP), a designation awarded to the top 12% speakers in the world and a CSPGlobal. As a CSPGlobal, he is one of the top 0.05% of Speakers to hold this highly prestigious designation globally.